To manage is to forecast and plan, to organize, to command, to coordinate and to control. Henri Fayol (29 July 1841, Istanbul – 19 November 1925, Paris) was a French mining engineer and director of mines who developed a general theory of business administration. To manage is to forecast and plan, to organize, to command, to coordinate and to control. To foresee and plan means examining the future and drawing up the plan of action. To organize means building up the dual structure, material and human, of the undertaking. To command means binding together, unifying and harmonizing all activity and effort. To control means seeing that everything occurs in conformity with established rule and expressed demand. The control of an undertaking consists of seeing that everything is being carried out in accordance with the plan which has been adopted, the orders which have been given, and the principles which have been laid down. Its object is to point out mistakes in order that they may be rectified and prevented from recurring. Henri Fayol (1916) cited in: Ralph Currier Davis (1951) The fundamentals of top management. p. 157. This quote was already cited in multiple sources in 1938. [In France] a minister has twenty assistants, where the Administrative Theory says that a manager at the head of a big undertaking should not have more than five or six. The technical and commercial functions of a business are clearly defined, but the same cannot be said of the administrative function. Not many people are familiar with its constitution and powers; our senses cannot follow its workings - we do not see it build or forge, sell or buy - and yet we all know that, if it does not work properly, the undertaking is in danger of failure. Would you like to know, for instance, to what extent higher mathematics is used in our two great industries? Well, it is never used at all. Having found this to be the case in my own experience, after quite a long career, I wondered whether I was not an exception; so I made enquiries, and I found that it was a general rule that neither engineers nor managers used higher mathematics in carrying out their duties. We must, of course, learn mathematics that goes without saying but the question is how much must we learn? Up to the present this point has nearly always been decided simply by professors, but it seems to me to be a question in which professors do not count very much, and in which they count less as they become more learned and more devoted to their work. They would like to pass on all their scientific knowledge and they find that their pupils always leave them too soon. Industry, which needs young men who are healthy, tractable, unpretentious and, I would even say, full of illusions, often receives engineers who are tired out, weak in body, and less ready than one could wish to take modest jobs and work so hard that everything seems easy to them. I am convinced that they could begin practical work much earlier and just as well prepared, by leaving things which are not used in practice out of their school education. Administration, which calls for the application of wide knowledge and many personal qualities, is above all the art of handling men, and in this art, as in many others, it is practice that makes perfect. This is one of the reasons why we should release our future engineers for practical work as early as possible; there are many drawbacks to staying too long at school. In my opinion, it is the industry concerned which should have the chief say in the question of the amount of theoretical training required. It is the industry which uses the products of the schools, and, like every consumer, it has the right to make its wishes known. According to the dictionary, to administer is to govern, or to manage a public or private business. It means, therefore, to seek to make the best possible use of the resources available in achieving the goal of the enterprise. Administration includes, therefore, all the operations of the enterprise. But as a result of the usual way of organizing things to facilitate the running of the business, a certain number of activities constitute the special departments; the technical department, the commercial department, the financial department, etc., and the scope of the administrative department is found to be reduced accordingly. satisfying shareholders and employees; labor and management. Are there principles of administration? Nobody doubts it. What do they consist of? That is what I propose to discuss today. The subjects of recruitment, organization and direction of personnel will form the subject of the second part of this study. Comment: Wren, Boyd and Bedeian (2002) commented with the words: "This previously untranslated and unpublished 1908 presentation from Henri Fayol’s personal papers indicates the progress he had made in developing his theory of administration." Every employee in an undertaking — workman, foreman, shop manager, head of division, head of department, manager, and if it is a state enterprise the series extends to the minister or head of a state department — takes a larger or smaller share in the work of administration, and has, therefore, to use and display his administrative faculties. By administrative knowledge we mean planning, organization, command, coordination, and control: it can be elementary for the workman, but must be very wide in the case of employees of high rank, especially managers of big concerns. Everyone has some need of administrative knowledge. The. manager must never be lacking in knowledge of the special profession which is characteristic of the undertaking: the technical profession in industry, commercial in commerce, political in the State, military in the Army, religious in the Church, medical in the hospital, teaching in the school, etc. The technical function has long been given the degree of importance which is its due, and of which we must not deprive it, but the technical function by itself cannot endure the successful running of a business; it needs the help of the other essential functions and particularly of that of administration. This fact is so important from the point of view of the organization and management of a business that I do not mind how often I repeat it in order that it may be fully realized. An examination of the characteristics required by the employees and heads of undertakings of every kind leads to the same conclusions as the foregoing study, which was confined largely to industrial concerns. In the home and in affairs of State, the need for administrative ability is proportional to the importance of the undertaking. Like every other undertaking, the home requires administration, that is to say planning, organization, command, coordination and control. Nothing but a theory of administration, which can be taught and then discussed by everybody, can put an end to the general uncertainty as to proper methods, which exists in the isolation of our households. There is therefore a universal need for a knowledge of administration. Henri Fayol (1919/1949). General and industrial management, Translated from the French by Constance Storrs. With a foreword by Lyndall Urwick. London, Pitman, 1949. Management plays a very important part in the government of undertakings: of all undertakings, large or small, industrial, commercial, political, religious or other. I intend to set forth my ideas here on the way in which that part should be played. This code is indispensable. Be it a case of commerce, industry, politics, religion, war or philanthropy in every concern there is a management function to be performed and for its performance there must be principles, that is to say acknowledged truths regarded as proven on which to rely. [Planning] means both to assess the future and make provision for it. The manner in which the subordinates do their work has incontestably a great effect upon the ultimate result, but the operation of management has much greater effect. The meaning that I have given to the word administration and which has been generally adopted, broadens considerably the field of administrative science. It embraces not only the public service but enterprises of every size and description, of every form and every purpose. All undertakings require planning, organization, command, co-ordination and control, and in order to function properly, all must observe the same general principles. We are no longer confronted with several administrative sciences but with one alone, which can be applied equally well to public and to private affairs and whose principal elements are today summarized in what we term the Administrative Theory. 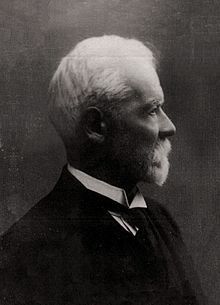 One motive for Henri Fayol's vigorous defense of administration as a subject for serious scientific study was the fact that he saw France, in the period between the Franco-Prussian War and World War I, disintegrating for lack of administrative ability and managerial efficiency. Hoping to make sounder administrative practices available to French civil and military agencies, he fostered the "Center of Studies in Administration" in Paris, as a kind of French Public Administration Clearing House. Fayol was one of the principal consultants to the French government during the crisis period of World War I and a leading participant in the International Congress of Administrative Sciences. Despite his conservative views about French politics, he was in complete agreement on questions of governmental organization with the rising French socialist of those days, Leon Blum, who, as Prime Minister, was later to try out some of the administrative ideas they both held in common. This is... but one of several such instances of agreement on administrative matters among political opposites, an instance which helps to establish the view Fayol insisted upon, namely, that administration is a subject of universal importance. The contribution of Henri Fayol is well known to even the beginning student of management. Most principles of management textbooks acknowledge Fayol as the father of the first theory of administration ans his 14 principles as providing a framework for the process of thought. Henri Fayol (1949) is generally considered as the father of planning. As early as 1917, he led a nationally owned French mining concern from the brink of bankruptcy to international dominance. This was clearly the result of his development of a specific system. This system involved forecasts from various levels and persons within the organization. Managers from each level submitted their best estimates of the coming years activity and, based on this information, the Chief Executive Officer would make up a one to five year plan. Financial evaluations and control of departments were then based upon these projections. Based on the business practices and policies of 1917, this was a radical and unsettling approach. Prior to Fayol’s innovation, the charisma and entrepreneurial abilities of the firm’s leadership was believed to be the major factor leading to its success. As more firms became corporations and the size of business entities continued to grow, Fayol’s planning approach became widely accepted. General Motors adopted this approach (during the 1930s and 1940s and provided an excellent example of this (Sloane, 1963) in the United States. This page was last edited on 9 June 2018, at 22:19.